This style of helmet was typically worn by the Roman Auxiliary troops, which were non-citizen soldiers of the Roman Empire. This Auxiliary Infantry E Helmet would have been worn by ground soldiers, who would have wanted good protection for their head. This impressive style of helmet is from an earlier era in Roman history, matching up quite nicely to other styles of Roman helmets that date from that age. The helmet features a rounded crown set with two ridges across the top in order to add strength and deflective ability to the helm, while the front features a visor that serves to protect the wearers face from falling blows. The back of the helmet extends down and protects the wearers neck. The cheek flaps on this helm are considerably larger than normal, though, offering increased protection while covering the ears and concealing much of the face. 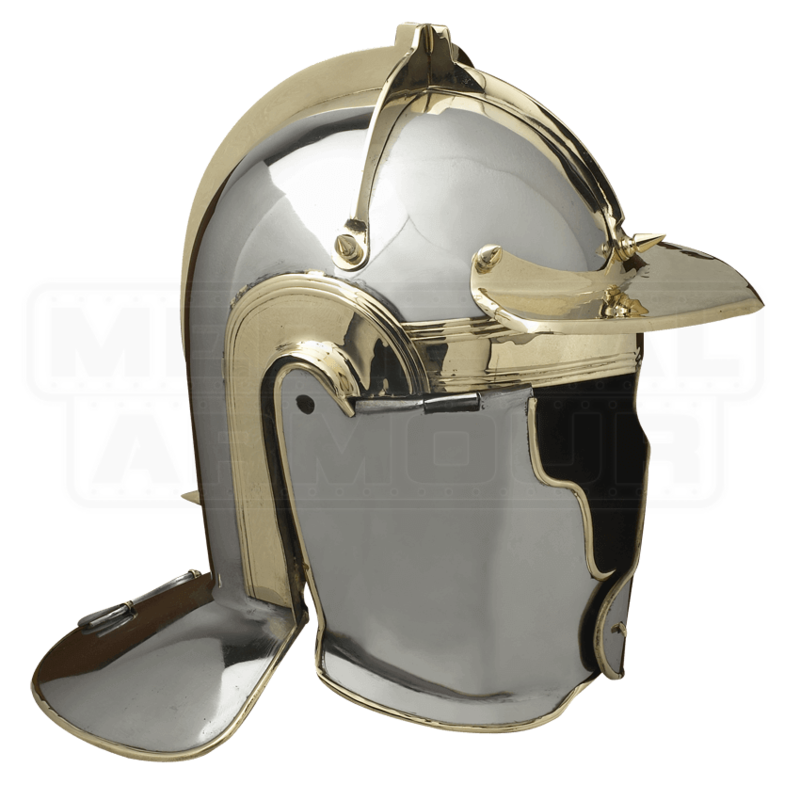 This helmet is made from 18 gauge steel and features an attractive polished, metallic finish. 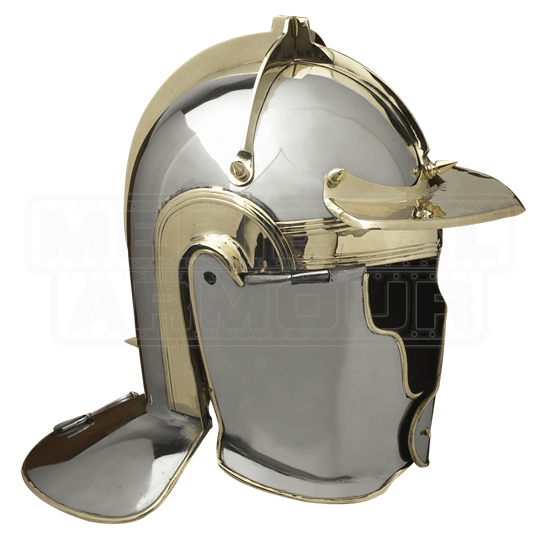 Don this helmet any time you want to start putting together an authentic look worn by a typical Roman auxiliary, or just add this Auxiliary Infantry E Helmet to your collection and watch as other collectors ooh and awe over this historically accurate piece. Weight: 4 lbs. 7.5 oz.